Substitute this Scandinavian take on pesto sauce wherever you might use traditional basil pesto. As you might imagine, the dill makes it a particularly good accompaniment for grilled fish or chicken. 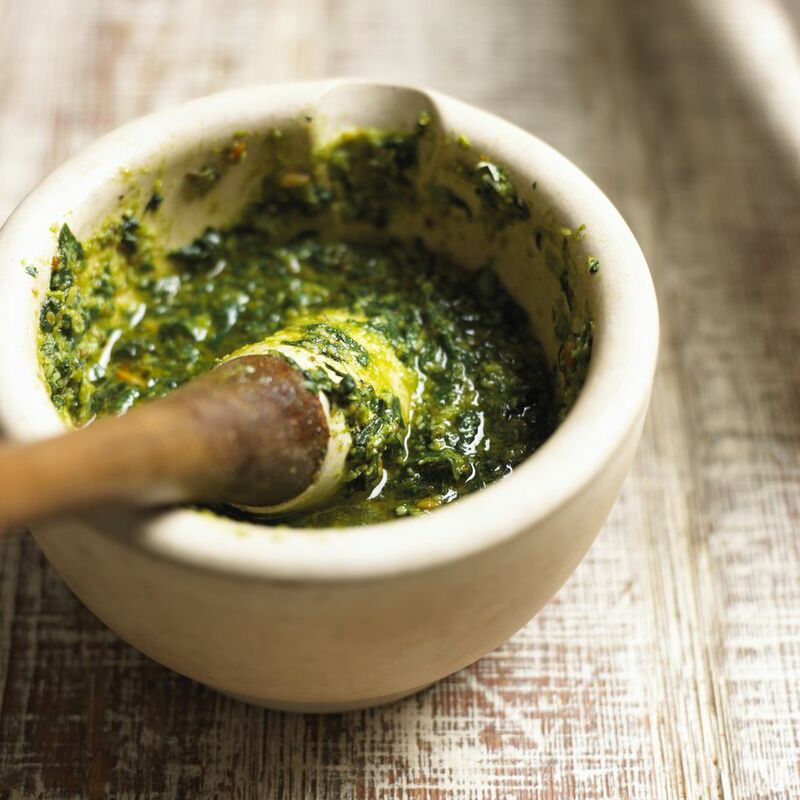 Pesto in Italian means “pounded” but, instead of using a mortar and pestle, this version is made in a food processor. And instead of using fresh basil, pine nuts, and Parmesan cheese, fresh dill and walnuts without any cheese are used to make this fresh-tasting uncooked sauce. Place 5 tablespoons walnuts and 5 cloves garlic in a food processor and process until finely chopped. Add fresh dill, lemon zest, and salt. Process into a thick paste. Continue to process (using the "pulse" feature if available), gradually pouring in rapeseed or canola oil until pesto is the consistency of a thick tomato sauce. Refrigerate lemon-dill pesto, covered, until ready to use.